I’ll come up with more detailed analysis later on but for now here’s a quick list of my first impressions of the newest expansion. The pandaren starting zone is pretty. In fact, pretty much anything about the pandas is on the pretty side. Forsaken would go insane over there. The wandering isle storyline and quests are surprisingly well done. It’s not revolutionary but it’s solid enough. Pokemon battles are exactly that, pokemon battles and I found myself hunting for rare pets faster than I expected. Using remixes of old game music for the pokemon battles was a great idea, loved it. If I had to give an overall impression I’ll say that Pandaria feels like a solid expansion. I think that instead of trying to reinvent itself once more, they went for more tried and tested designs. In short, they went for polish instead of huge changes and I think it serves them well. Seriously? Have you guys been paying attention at all these past years? If you just started playing WoW I forgive you but today I’m addressing the veterans who have already jumped on the WoW fail wagon mere hours after launch. You know who you are. Today we’re going to have a critic 101 class. See, it’s fine to critique a game for whatever flaws it may have. Bugs, features not working as intended, bad tuning and any issue you really feel like discussing. It’s fine. It’s okay to want a product to improve and talk about it. Hell, it’s probably the number one reason why people blog. But here’s the tricky part. You have to be able to differentiate between a flaw and between the actual game. To provide an easy example I’ll use cinema. Last year I was reading a movie critic being mad at The Avengers because it featured superheroes. Yes… someone was mad that a superhero movie featured superheroes… makes sense right? So in the same vein of idea it boggles me a bit when I read people being mad at MoP for not reinventing WoW on the spot. Graphics look like they did in 2o04! Well yes, the game did come out in 2004? It’s still the same raids! They just changed the bosses and put in new skins! Of course they did, did you expect WoW raiding to suddenly not be WoW raiding? Think about it for a moment. Would it make sense for WoW to suddenly have a completely new graphic engine? To adopt a 7 man raiding format with no tanks? To get rid of healers and give every heals suddenly? Or why not get rid of class completly? Change combat to now feature action combat with combos like God of War? Have a platforming dungeon for a change? If the above sounded stupid it was meant to. WoW is WoW and it will remain WoW until they shut down the servers and that is fine. It’s a game made in 2004 that for the time was revolutionary and has become the template nearly all the other MMOs since. Around 9 millions people keep paying for the game and are telling Blizzard to not change a winning formula. They have also said through 3 previous expansions that they expect WoW to remain WoW at its core. So, to all the critics out there bemoaning that MoP didn’t turn WoW into a completly new game I ask, what did you honestly expect to happen? I’ve been wanting to talk about Darksiders 2 for a little while now but I wanted to finish the game first so I would have the complete picture before passing final judgement. I’d like also to mention that I played Darksiders 1 and 2 in quick succession so a lot of my views on the second games are colored a lot by comparing the two games. 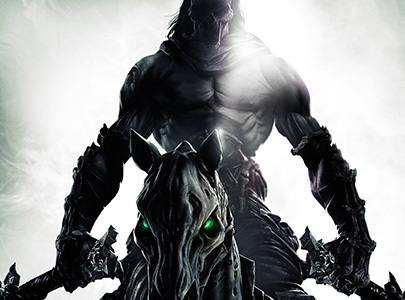 Darksiders 1 was something of a sleeper hit back in 2010 when it launched. The gameplay was a mix of God of War fighting with Zelda-esque dungeon exploring set in a Spawn like apocalyptic world (serious… I was certain Todd McFarlane had designed the game) and what seemed an odd match at first turned out to be a pretty fun combination. But it was not without flaws. Nothing major but they were a few issues like pacing, game over too quickly, minor dungeons bugs, camera angles, too few different enemies, etc… In short, all issues that a new company like Vigil games could be forgiven for making on their first big title. In the end, Darksiders was considered a great first game for a small company like Vigil and they were high expectations for the second game to see if Vigil could fix the minor flaws of the first game and deliver what could possibly be one of the greatest game of the year. I’ll come out right ahead and say that Darksiders is not a bad game but it’s not either the smash hit it could have been. Why? Because Vigil fell into a few too many classic traps when it came to design the second game. To illustrate this, I think it’s worth to talk about what made the first game a success and the flaws critics pointed out. If you get down to hit, Darksiders one was praised on good combat à la God of War, exploration dungeons like Zelda and a style that felt like a comic book. The dungeon aspect in particular was appreciated as it was felt that too few games attempted the Zelda style. What gave Darksiders such an impact was the clever blend of the three elements above. What was reproached however was the shortness of the game, the rather simple dungeons and how small the world felt. So if I’m Vigil games, I would take out of this to keep the same setting and gameplay but add way more of it to the game and work out the small design kinks. Sounds simple no? And…. that where the trap lies. Adding more content is only good if said content is relevant and that’s where Darksiders 2 falls short most of the time. A lot of the dungeons are not really relevant to the story and most of them feel like the exact same dungeon that you just completed 5 minutes ago. I think what happened is that Vigil confused repetition and reuse as being more content. To illustrate try to think back to a Zelda game and the dungeons in there. Every dungeon is a Zelda game is themed differently and one of the great pleasure of a Zelda game is exploring the different environments. Now try to imagine if instead of doing the forest temple once and then moving to the desert you had to do it six time in a row, then do the desert five times, then do the next dungeon another five times and so forth. Way more dungeons but is it worth it? Not really and it just makes the game drag. And that is the biggest flaw of Darksiders 2, it drags on for long parts especially in the beginning when your tasked with irrelevant tasks and forced to redo the type of dungeon over and over. In a way in had content and lenght to the game but if that content is not that interesting to begin with… not so fun. Now we get to what I feel is the second issue with the game, the fact that in the end you’re playing second fiddle to the story of the first game. To make a long story short and not spoiler too many things, you’re trying to solve the first game issue by way of a rather weird and convoluted plan when in the end you know that issue is solved at the end of the first game. Think of it this way. Let’s say the first game was Lord of Rings with the Fellowship wanting to destroy the Ring. Then Darksiders 2 would follow the adventures of Aragorn secret half-brother who was trying to raise an army to beat Sauron but when he does manage to raise said army he finds out the Ring has been destroyed anyway. Makes the whole exercise feels kinda useless doesn’t it? To be fair, I think what happened is that Vigil has more games planned for the series and wanted to do a lot of world building with this game but they sorta forgot to make the game stand on its own. In addition, if you haven’t played the first game I seriously doubt you’ll get much out of the story of the second one as it was clearly made for people who had played the first one. No I don’t think so. While I talked a lot about the flaws the game does have its moment and the elements that made the first one succesful are still there so at the very least you get a decent exploration/adventure game. Herein lies the problem, it’s only decent when it could have been so much more. Vigil only had to fine tune the concepts of the first game and deliver a couple of memorable dungeons but instead it went for the easy solution of repetition and reuse. So here’s my recommendation. Buy the first game. It’s about 15$ in bargain bins right now and in many way it’s superior to the sequel even if it’s a bit short. If you really like it and want to see the whole story when they release the other games, then wait for Darksiders 2 price to drop and then get it. But don’t pay full price for this game. -The unique setting and the mix of action combat and dungeon exploration. Darksiders is still the only series to blend the two genres this way and only for that I think it’s worth it. -The Dead lands and the BlackStone. Love a well done environment when I see one. -Boss fights. Most were well done and interesting. -The overall plot. I don’t like being the second fiddle in a game like this. -Find all the tiny gems quests. I don’t have the time nor the patience to look in every tiny crevice. -The forge lands: They sucked, ‘nough said. -The crucible. yet another boring wave arena. Come on game designers! Think of something else to fill your game. PS: I know there’s a lot of rave review out there about this game. I am right, they are wrong. WoW right now is my derp game. The one I play when I’m tired or don’t have much to or just want to waste some time away while watching Futurama reruns for the umpteenth time. In the past I’ve always had an eye toward raiding and I have to say that playing a game like WoW just to relax does change a lot your expectations and views toward upcoming content like Pandalands. This time around I have no expectations and it feels awesome. I’m not worried about if they’re going to make raids too easy or too hard, if it’s going to be a grindfest or if the story is going to make sense or not, I’ll just enjoy whatever I’ll come across no matter how silly it could be. And at the top of the silliness pile is this. Come on! 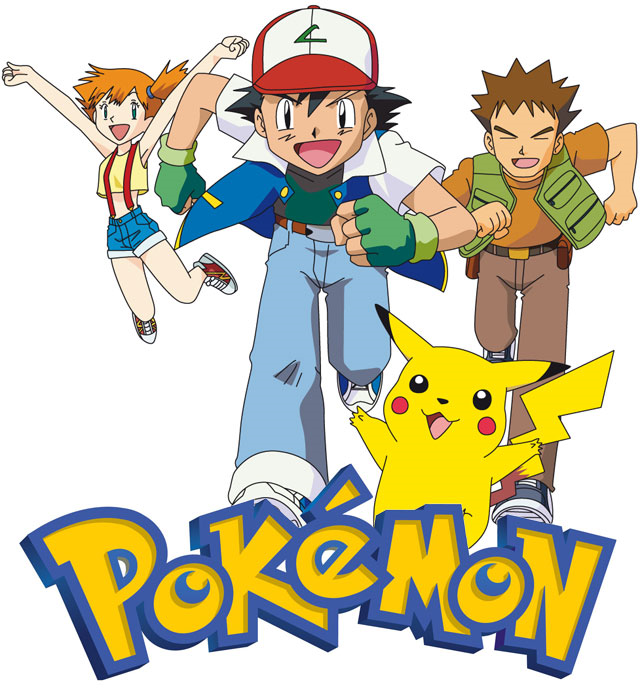 Who doesn’t want to be a Pokémon master? Okay… you can lower your hands… I know it’s not for everyone but if like me you’ve been subjected to Pokemon by overzealous little cousins more than ten years ago, that theme song and those critters stayed in your head. Think about the potential for awesome RP with these! Imagine going up to Arthas in Northrend and battling for the fate of all humankind in a pet duel involving you Westfall chicken vs his mechanical Squirrel. How can you not see the beauty of that? Okay, if we’re being perfectly serious here why not just embrace this. A lot of people I’m talking to are officially against the whole pet battle idea. Hell, I was last year when I heard about it. But, the reality I’m seeing is ton of people collecting pet for that or talking about what pet they’ll want to raise up. I know I’ll want my mini-thor in prime fighting condition. Of all the new features of Pandaria, this is the one I see people preparing themselves the most for. So it cannot be that awful right? Does it break immersion and the long established epic tone of the Warcraft universe? If you asked me about it 7 years ago when WoW launched I’d have said yes but now? We’re talking about a game where you can ride around on a giant chicken, fight other players using radio controlled zeppelins and play football using goblin shredders. Thankfully the lore has mostly ignored all of this can continued on unimpeded but all that stuff have been in the game for a really long time. In fact, if you go back in time to the old Warcraft games there was a lot of silliness going on even back then with annoyed units quotes, in-game jokes and tons of other small stuff. Like I said, the official lore ignored it but it was there if you wanted to feel silly for a moment or two. So, why would you be against pet battles? In the end it’s another venue for players wanting to relax doing funny stuff and not worry about end of the world dragons for a bit. You’re not forced to participate after all and if you feel like it will kill the game spirit… well… it was pretty much killed way back somewhere in BC. You know what’s my best moment in Cataclysm? It happened on day one while I was questing in Vash’jr and someone started singing Under the Sea in general chat and everyone joined in. It was silly but it was also funny as hell if you let it be funny. So once again I ask, why not let yourself enjoy pet battle for what it is, a simple way to let loose and not worry for a while? Come on! I know you want to! I have to admit that I’ve been pretty disconnected from the latest swtor news. I’m keeping an eye on the Terror from Beyond raid info when there’s some but the new round of server merge came as a complete surprise to me. It seems Canderous Ordo is no more and now I’m part of Jedi Covenant…. sigh…. The main reason I’ve been keeping away from Swtor news is that everything is so depressing lately and I want to keep enjoying what’s left of the game but it’s been hard recently. The doctors leaving and now the added server merges are not good signs and with Pandaria hitting next week… I… I’ll leave it at that. In other news I’m still investigating that curious creature known as the WoW pug. I’ve seen a lot of interesting new specimens and I’m starting to formulate theories one of which is that everyone in there can turn batshit insane at any moment. Also, I’ve discovered a new pet peeve of mine, hunters who leave taunt on their pets while I try to tank. Would you all kindly jump into a fire and die please? When I wrote my post yesterday I was expecting it to generate some attention but I wasn’t expecting that Tobold would pick it up and call me flat-out wrong. For those of you who are not blogging getting linked to on Tobold’s blog usually means a lot of traffic along with a healthy dose of trolls so it’s an experience I try to avoid. And for the record, I am not a fan of Tobold’s writing. So a short recap for those of you who are joining us. I was saying yesterday that the current MMO market favors heavily fantasy themed MMOs based around WoW model (Rift and GW2 for example) and that by not supporting innovative games like The Secret World, we are sending the message to the industry that we as customers are not interested in innovation and want WoW clones. Tobold said that I was wrong, that what happened with TSW was that is was a bad game and that it failed because it lacked in execution and that the message we are really sending is that we want well executed game. Really? Players want well made games? Who would have thought? It’s like a revelation! So now it’s my turn to tell Tobold that I think he missed the point of my post entirely which was that if you are a player wanting innovation in your games, you have to support games that do innovate even if they are not the best. You have to show the industry that if they innovate they will have support and get their money back. I’m not debating the importance of a well executed game. Everyone knows that it’s important. It’s like saying that breathing air is important. I used TSW in my post as an example of a game who tried to innovate but it could have been another game. Again, the point is supporting innovation if that is something you actually care about. I’ll conclude with a little exercise. You have a 100 millions dollar to invest in making a MMO. It was hard work to get that money together and if you fail, you will lose your job and you could even bankrupt the company you are working for, making a lot of other people lose their jobs. If you were to look at the current MMO market right now, what kind of game would you make? Would you look at WoW and GW2 and make a game similar to them where you have the best chance of making money? Or would you take a chance with doing something innovative or sci-fi based despite the recent troubles of games like Swtor and TSW? Your name, career and other people jobs are riding on this. Think carefully. If you’re paying attention to MMO news at large which is likely if you are reading this blog, you know that The Secret world from Funcom is suffering right now. While we don’t know the exact details, the gist of it is that TSW is not selling enough and has not enough subscribers leading to dire consequences like Funcom stock taking a huge drop. If news of this sort continues to surface, I wouldn’t be surprised to see TSW join the list of MMOs that got cancelled soon after their launch. It’s a tragedy. Reviews at launch were mixed and TSW reviews scored poorly in classic MMO areas like combat, pvp and endgame. However, a lot of critics and blogs praised the game for it’s very innovative storytelling, atmosphere and quest flow. In short, if what you’re interested in is storytelling and a coherent world, TSW is probably one the best games out there. Not only that but they did it while avoiding the classic medieval fantasy world. I’m going to address a few specific people here. All those who ever said that MMOs need to be about world first and not systems, all those who lament the fact that there’s too few MMOs who break out of the classic fantasy tropes. I’m talking to everyone who says MMOs never innovate and those who keep complaining about WoW, Rift, GW and their clones. Are you playing TSW right now? Are you encouraging new ideas by supporting them when they do appear? Look at the current MMO industry, the most succesful games all emulate WoW to some degree and are all fantasy based MMOs. MMOs that are trying different either disappear or quickly become niche games. What message do you think we’re sending to the industry? To the ones who pay for developing MMOs? We’re saying: Guys! Don’t bother innovating too much or giving us anything other than swords, elves and dragons. Don’t change too much the formula either. We want our ability bars, our kill ten rats quests and our raids. We’re going to scream we want different so just switch the furniture around enough so we think we’re getting something new. That’s what we are saying. So if you’re one of those people I addressed earlier, I ask again, why not pick up a game like Secret world and support a company that had the guts to do things differently and tell the investors that yes, we also want something else than fantasy MMOs.